John Law was born in San Luis Obispo, California. At four, he moved to Oxford Mississippi for a year before moving to Big Rapids, in central Michigan. In 1967, when John was nine years old, his father, a college professor, took a summer class on computers in Santa Clara. While in Santa Clara, John’s family would climb in their station wagon to take the hour drive to San Francisco. These visits made an impression on John; he remembers the Golden Gate Bridge and the buffaloes in Golden Gate Park. But most of all, John remembers the family visihting Haight-Asbury, to see the hippies living there. John remember them being dirty, but looking like they were having a very good time. While his dad would make snide comments, John absorbed the scene with interest. After the summer ended, the family returned to Michigan and then moved to Tennessee. There, Law received a college scholarship, but ran into trouble with the law. In 1976, at 17, while on juvenile probation, he ran away from home and returned to San Francisco. He lived briefly in Golden Gate park in a sleeping bag, surviving by pan handling on Market Street and passing the time by playing chess and drinking coffee at Blue Unicorn and the Sacred Ground cafes. He then found a youth hostel, where he lived without paying rent by washing dishes and doing other cleanup work. As he found better work, he moved to a four bedroom apartment at Cole and Haight. Living in San Francisco during the mid-seventies, he would meet aging hippies who would tell him “Oh, kid, you missed it. The party ended eight years ago.” And he would later reflect on this as utter nonsense. 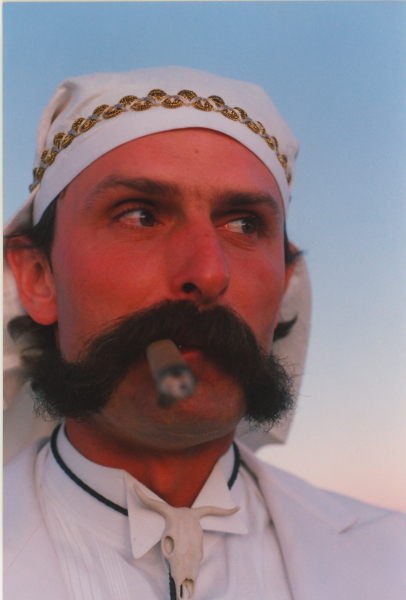 He was on the cusp of some of the greatest adventures of his life: Joining the Suicide Club, then the Cacophony Society, before helping to create Burning Man. The full description can be found here. I've never had a piece of writing speak more directly to me instantaneously and changed me. That was a tipping point. You know in everyone's life there's one or there one or two or three points where their entire life changes. Well this was a point for me. It was obvious from the second that I read [the club’s description] this is exactly what I want to do. My God! Who are these people they must be they must be amazing! 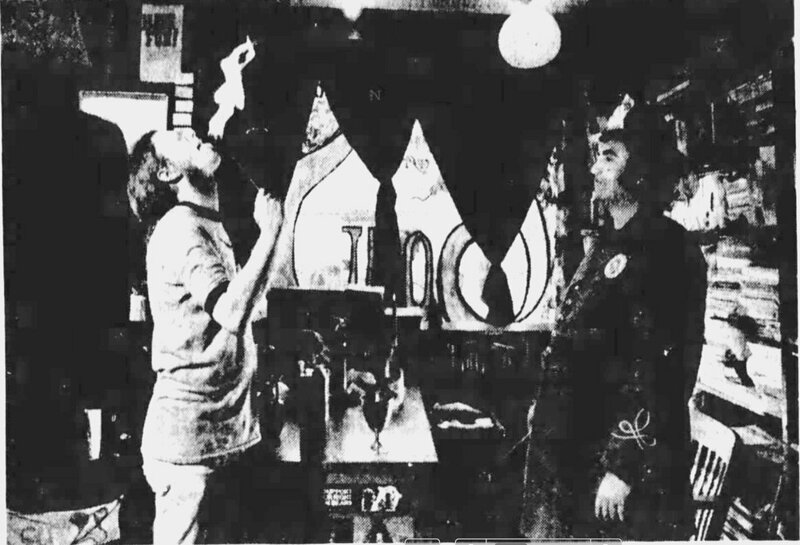 Law, at the urging of Unger, took the streetcar to Circus of the Soul bookstore, to meet the founders of the Suicide Club at Circus of the Soul used bookstore, which was owned by Gary Warne, the founder of the club. Law recalls expecting to meet people like Navy Seals, and has visions of black ops soldiers repelling into a conflict zone. Instead, he encountered Gary Warne, who look like a “slightly overweight hippie guy with long hair” and “then sitting next to him was like a really old guy … a super old guy in a big comfy chair. And he had a cane. And his leg was stuck out. He seemed like he was a hundred years old. . . turned out you he was 42 but see I was 17 so he might as well have been a 100”. Despite the disappointing first impressions, Law attended the first initiation ceremony, which he has written about in detail here. The ceremony involved blindfolding the fifty or so participants, driving a circuitous route to the sea where the participants were led out of the car and told to hold hands. From there, still blindfolded, they were led along a dirt path, over a sandy bank and into a bunker. Blindfolds removed they then found their way back outside to an initiation party where they became members of the Suicide Club. Law found the experience to be profound, and he devoted the next five years to the project, leading events including exploring abandoned buildings, exploring sewers and climbing bridges. Around 1982 the club became inactive, and a year later, at age 35, Warne died of complications related to a blood disease. As requested in Warne’s will, Law and others Warne inspired climbed the Golden Gate bridge on a sunny day added some of Warne’s ashes to paint and applied it to the bridge. They then tossed more ashes to the wind. Summer of 1986, started doing events with Gene Mascovzy (sp), Lance Alexander, others? All members of Suicide Club. Suicide club was organized under a monthly newsletter, and anyone could be an editor. Gary wasn’t the boss. A different editor every month. No quality control. Every four months there was a new treasurer, that rotated. On specific events, each leader had full control over the event, and could set any rules they wanted. William Binzen came up with most 60 to 80% of the core philosophny of BM at DSW. Became involved in cacophony. Knew Ed Homes (Bishop Joey). NOt a people person - not an organixer of people. Idea about being part of a living art piece. Partnered with Law and Kevin, vnessa , seb first year. MM came in next year. Law did an undewater neon installaion at black rock springs. 1st two events were amazing. Dream Circus, Kate Miglin, Harvest Moon Pollack. All living together. Came to DSW. Their look would become the modern playa look. Fred Adler (theatrical producer), Paradox Pollack (central figure), Harvest Moon (burlesque), Became involved second year. They became the center of Pepe Ozan’s operas. Intent of cacophony wasn’t to be an art group. There were artist involved. 1988 Carrie G entered. Art student in late 30s. Kevin and Vanessa, Sebastian, corey keller greg Norscesian. Carrie was always an artist. But didn’t think of cacophony as art. SRL were art and science people. Mark Pauline, started it in late 70s. Started a year after suicicde club. Mark was an artist. When to SF art institute. But also a mechanic. A lot of technologist followed him. At start of bm — machine art people came 1993. Bike activists, started coming out. But first year was cacophony. Plus a few carpenters, including Dan Miller. Steve Morganstern - junk man. He was an important early character - did house of doors. Steve YanTman (sp) - crane operator and welder. Absolutely square. Drank beer and worked on car. He went to brc with law originally — monster truck guy. Came out second yr of burning man to laugh at idiots. Larry Harvey was totally broke. Law and MM paid Larry’s rent a few times. The first four years Law’s credit card and Dan Miller finance BM. 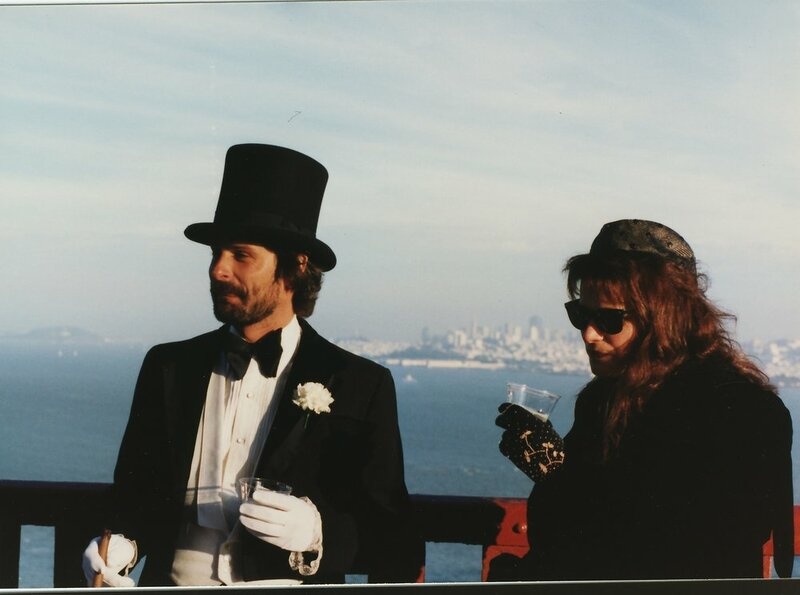 Law, who showed up in San Francisco in 1976 as a 17-year-old delinquent from Tennessee, was part of many of the formative groups that served as the roots of Burning Man, including the Suicide Club and Cacophony Society. He later became one of the initial three founders, along with Larry Harvey and Michael Mikel, who officially founded the first Burning Man organization. “I was raised in the Midwest and dreamed about bridges from a very young age. I attended the first Suicide Club initiation a year after my arrival in San Francisco in 1976 and through his apprenticeship in that saturnalian cabal came to know many of the world’s greatest bridge spans. It is my great good fortune to be affiliated with singular organizations (past & present) such as Survival Research Labs, Dark Passage, The Cacophony Society, PeopleHater, Seemen, Circus Redickuless, S.F. Cyclecide, and The Madagascar Institute to name a few. See John’s Blog for more information. John also founded the Billboard Liberation Front. John Law and Larry Harvey had their first substantive interaction at the aborted 1990 Baker Beach burn. After the Larry Harvey negotiated with the police to allow him to raise, but not burn the Man, John Law urged that the Man be burned anyway. As the semi-official police liaison for the SF Cacophony Club (if the police showed up, John would rush over to talk with them), he felt confident that the police were only “checking the box” by telling them not to do the burn, and wouldn’t return if the agreement was ignored. Larry Harvey rejected this advice, later commenting that he had already given his word on the matter (and also commenting that others present didn’t have “skin in the game” about whether they could ever return to Baker Beach or whether there would be consequences for going ahead with the Burn).